The Victoria Thompson Scholarship – Page 2 – for the advancement of children's palliative care. Ireland. Skreen, Dromard community centre – 30th Sept Tierargh Girl Guides social dance. 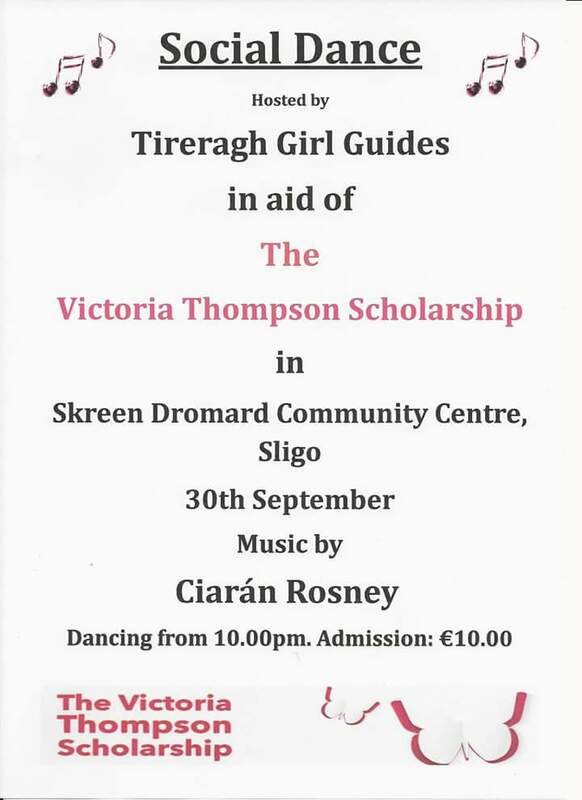 Geraldine Kealey and all in Sligo’s Skreen and Dromard Community Centre and Girl Guide Troop are doing a social dance on 30th Sept. Please try to come along. It starts 10pm. €10 admission. Ciaran Rosney playing the music. Raffles and prizes galore. Love to see you there. Huge thank you to all the contributors and organisers. We really appreciate children’s groups helping our children’s charity. Choral Concert in Stockport, UK. Our next event is outlined below. Thank you Daphne Sumbler and the Cantus Bravura award-winning choir for doing a fundraising concert on 16th September 2017. We are grateful that the magic will hit the UK and hope some people could join us on the night. It will be a special evening of song, connecting people, places and times. 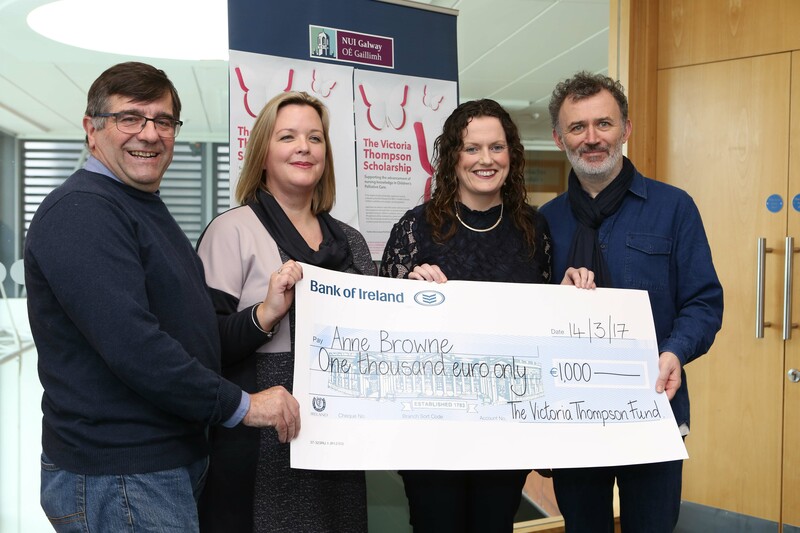 Tommy Tiernan has kindly offered the proceeds from one of his national comedy shows to The Victoria Thompson Scholarship. What special magic! We can continue to help nurses to study in children’s palliative care and complex care. Details on his tour below and more will follow. Shearwater Hotel, Ballinasloe – 22 December. 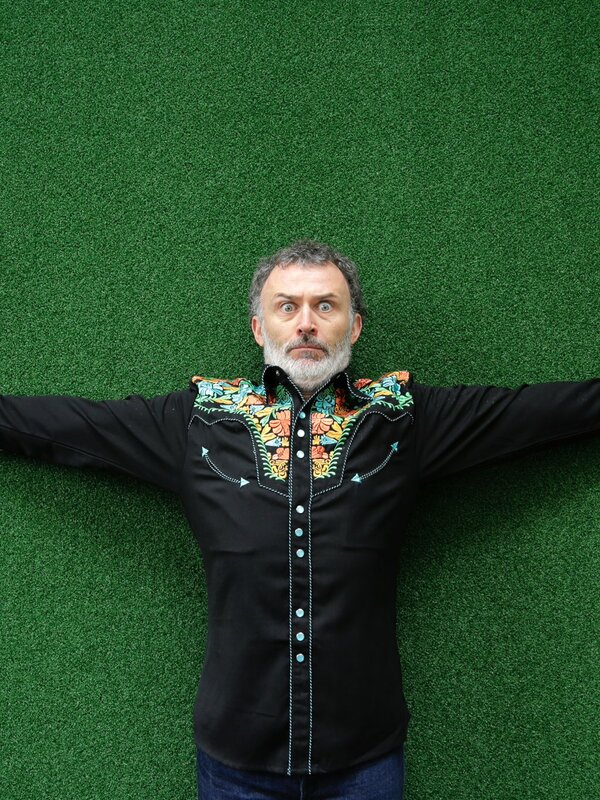 Due to phenomenal demand Tommy Tiernan has added extra shows to his Under The Influence tour. As if receiving instructions from a strange and distant star, Tommy Tiernan takes to the stage refusing to take anything seriously. The political and the personal are all up for grabs as the only goal of the evening is laughter. Let our struggles be mocked and our cares abandoned. Allow yourself be guided by a language loving and theatrical performer with a half thought out plan, no professional qualifications and a mouth with a mind of its own. Can you trust him? To be silly, yes. To behave, no. Like a bus conductor standing in front of an orchestra with a spoon in one hand and air horn in the other what could possibly go wrong!? COOK- OFF Fundraiser 27th April. in Redcastle Oceanfront Golf and Spa. 27th April 8pm. 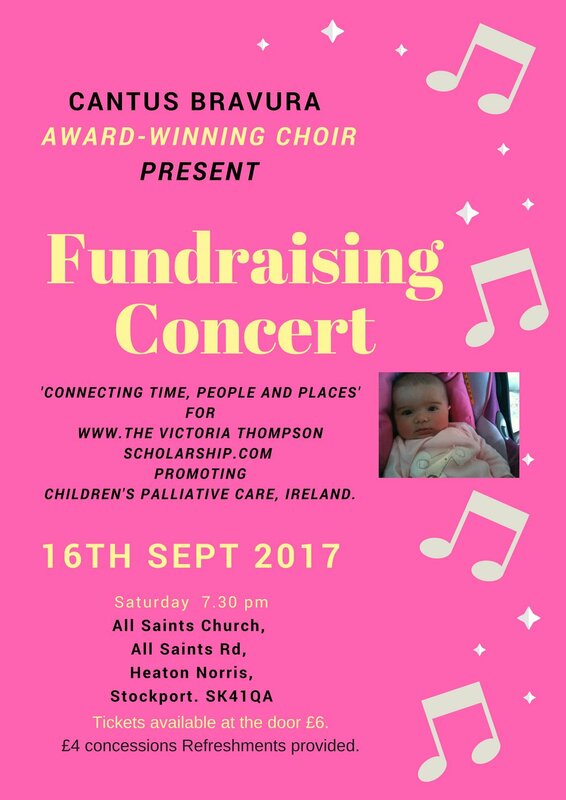 in aid of The Victoria Thompson Memorial Fund/Scholarship. 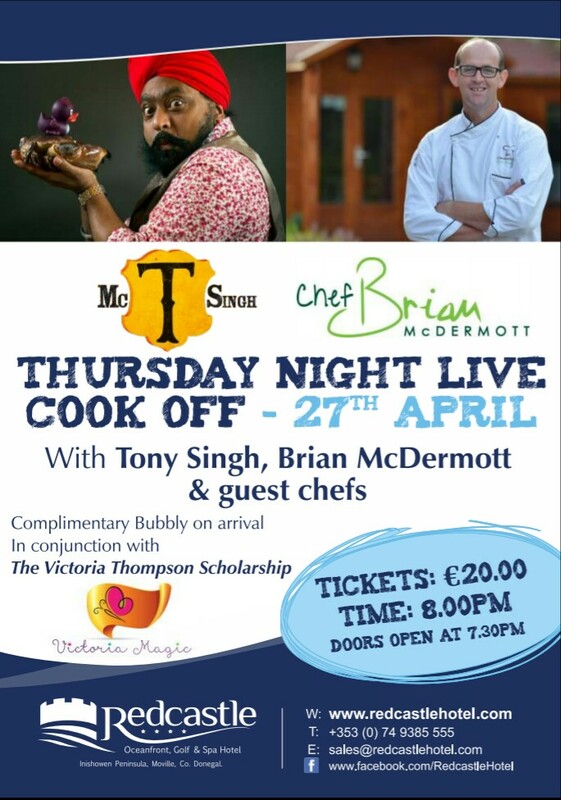 Local, celebrity Chef Brian McDermott from TV3 is battling it out with the likes of Tony Singh MBE and Redcastle’s own Gordon Smyth, for this thrilling, live event. 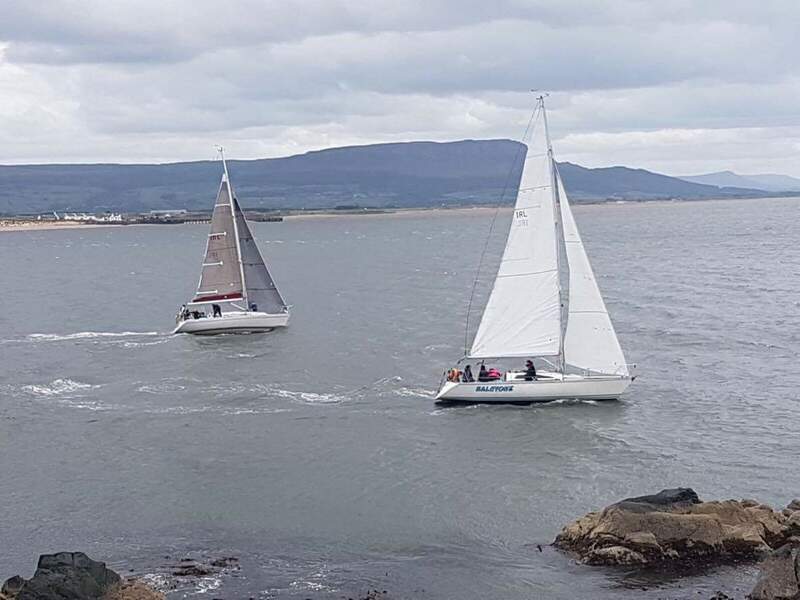 Arrive to a glass of bubbly, overlooking Lough Foyle and watch the masters at work, as they battle it out to win the competition. There will be an opportunity to meet and speak with the celebrity chefs and take the necessary selfies. 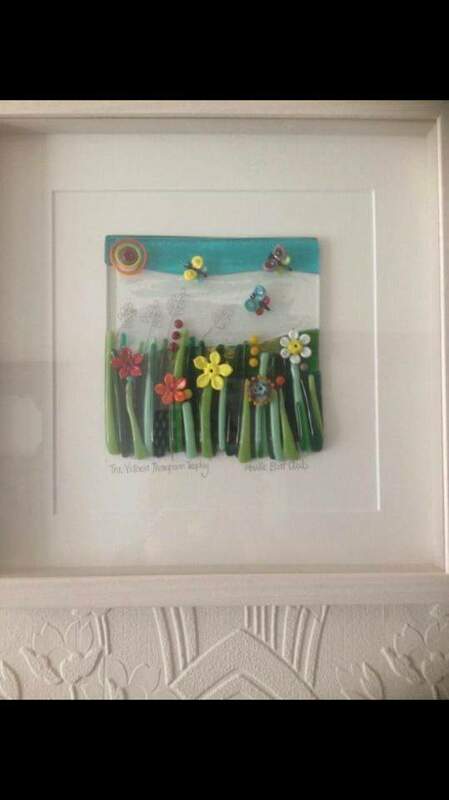 Tickets are available now (€20) from Redcastle Oceanfront Golf and Spa. We recommend purchasing tickets early. 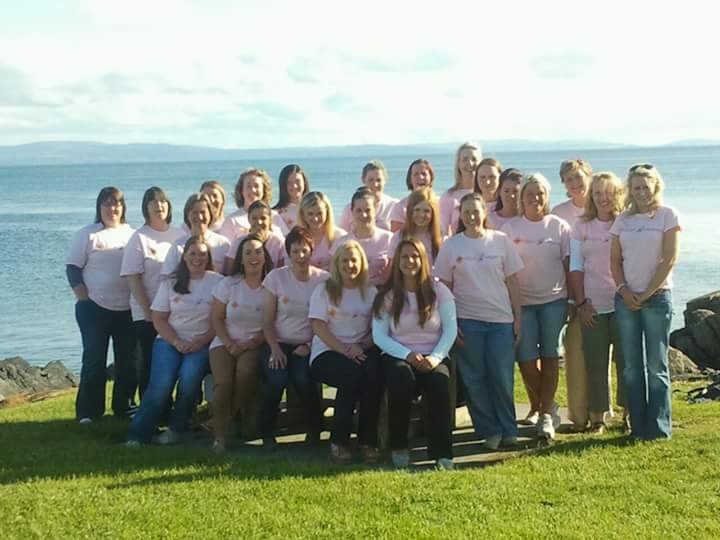 Victoria’s legacy is always supported by Redcastle Oceanfront Golf and Spa Hotel. They’ve already pledged a substantial amount this year to our annual signage rental auction. This is one of the many ways their generous staff remember our Victoria and those like her. We wish to thank all those involved in this cook-off on the 27th April. Nurses are needed. Spread the word please. Masters in children’s palliative care and complex care. 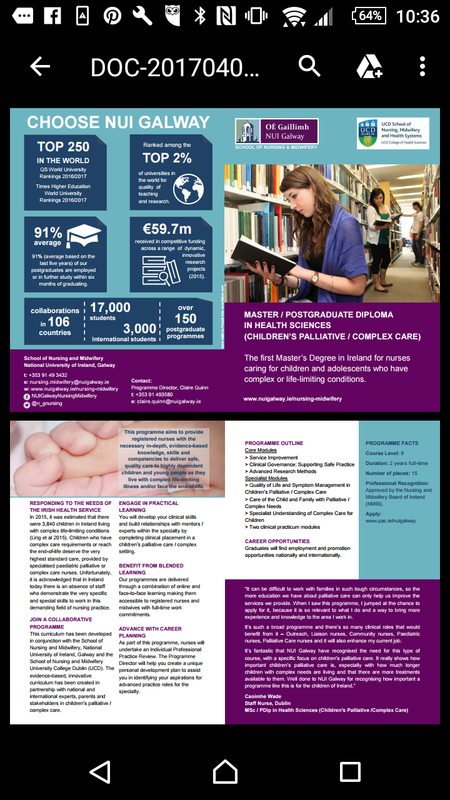 “In 2016, NUI Galway recognised the need to support services to ensure that nurses have the required competencies and skills to care for this population of infants, children and adolescents in the relevant settings. The programme obtained the support of the NMPDU to facilitate a more prepared nursing workforce though ongoing learning and development. Modules can be offered as one continuous specialist MSc Programme OR can be undertaken as individual modules as a Masters Level Professional Credit Award. Registration is now open until late June. Check out the leaflet and spread the word about children’s palliative care please. Contact claire.quinn@nuigalway.com for further details. Signage rental auction for this year makes €1,000. Redcastle Oceanfront Golf and Spa were the successful bidders for the signage this year. Thank you to all local businesses who bid in the process. We were overwhelmed by the response. Next year in Jan 2018 we will take expressions of interest for the sign and bid during the first weeks in Feb for erection of sign in March at the latest. Thank you again to all and especially to Redcastle Oceanfront Golf and Spa for a nice round figure to start off our fundraising year for 2017. 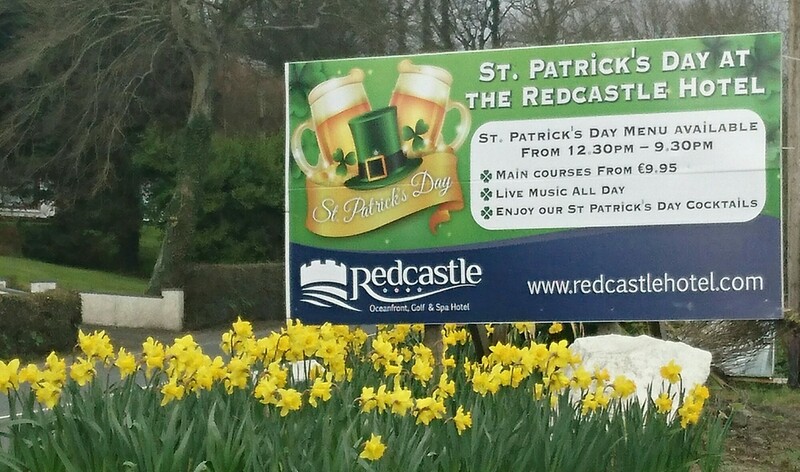 Sign is updated regularly with Redcastle Hotel’s events and promotions. Thrilled to see it changing with the seasons and knowing the funds add to Victoria’s legacy.